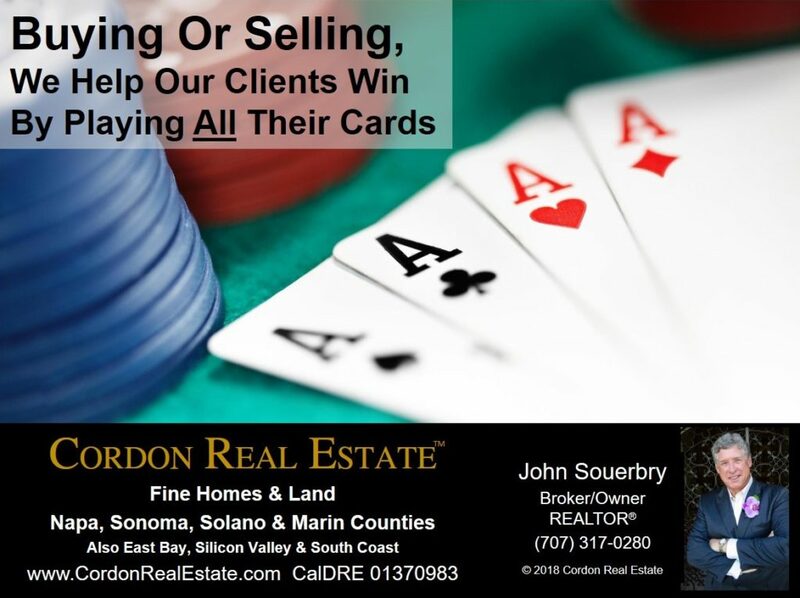 Buying or selling, successful real estate strategy begins with looking at a deal from all angles, weighing every available option, and helping our clients win by playing all their cards. The standard California real estate purchase agreement contains at least fifty contract variables, so why do so many agents fill in most of the blanks with one-size-fits-all entries and advise their clients on less than ten opportunities to push the terms of the contract in their favor? There’s much more to a good deal than price and closing date. We consider every variable a point of negotiation. Buying, selling or investing – we give our clients the negotiating edge by looking for (or creating) opportunities others miss. Our aggressive approach can help save money, make an offer more attractive to sellers, or provide short and long term benefits to investors. We help our clients look at every option so they can win by playing all their cards.